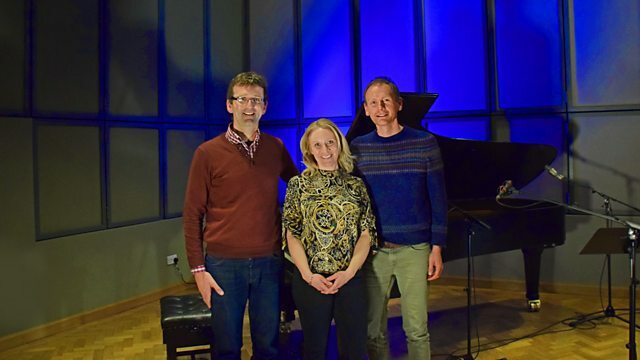 Stephen Broad sits in, with music in the studio from British soprano Carolyn Sampson and pianist Michael Bawtree. There’s news of a special weekend of music from the refurbished Aberdeen Music Hall and an Album of the Week featuring lesser known composer Arnold Bax alongside Harriet Cohen. Orchestra: City of Prague Phiharmonic Orchestra. Conductor: James Fitzpatrick. Music from The Harry Potter Films. Performer: Michael Bawtree. Singer: Carolyn Sampson. Performer: Michael Bawtree. Music Arranger: Michael Tippett. Singer: Carolyn Sampson. Orchestra: Staatskapelle Weimar. Conductor: Kirill Karabits. Orchestra: Sinfonia of London. Conductor: Muir Mathieson. Singer: Nati Mistral. Orchestra: Philharmonia Orchestra. Conductor: Rafael Frühbeck de Burgos. Falla/Albeniz: El amor brujo/Suite Espanola. Performer: Claude Debussy. Singer: Mary Garden. Performer: Simon Hewitt Jones. Performer: Tom Hankey. Performer: Oliver Coates.